Miss World 2017, the 67th edition of the Miss World pageant was held on 18 November 2017 at the Sanya City Arena in Sanya, China. 118 contestants from all over the world competed for the crown. 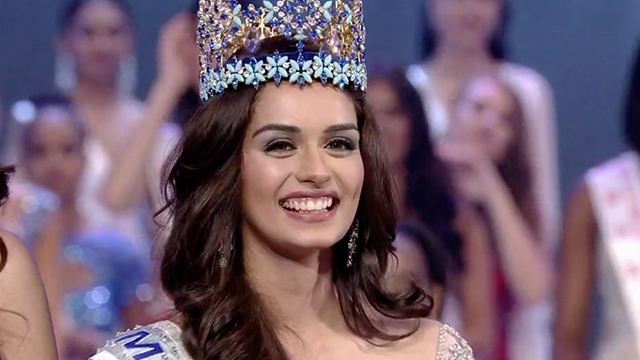 Stephanie Del Valle of Puerto Rico crowned her successor Manushi Chhillar of India at the end of the event. She is the 6th Indian to have won the Miss World crown.